The Former American Secretary of State was born to Jamaican parents who moved to the US in the 1920s. Seventy-four years ago, Colin Powell was born in New York City to immigrants from Jamaica. He went on to become a Four-Star General in the US Army, the National Security Advisor, Chairman of the Joint Chiefs of Staff, and the Secretary of State. This incredible man was the first African-American person to serve on the Joint Chiefs of Staff, and he was the first African-American to be appointed Secretary of State. It is no surprise that Hon. 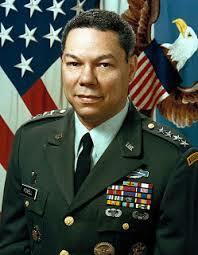 Colin Powell achieved excellence in service to the country in which he is a citizen. Coming from Jamaican parentage was the force behind his success and we as Jamaicans are proud to call him our own. Join in and write your own page! It's easy to do. How? 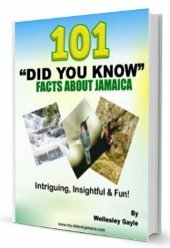 Simply click here to return to FamousAndNotableJamaicans.